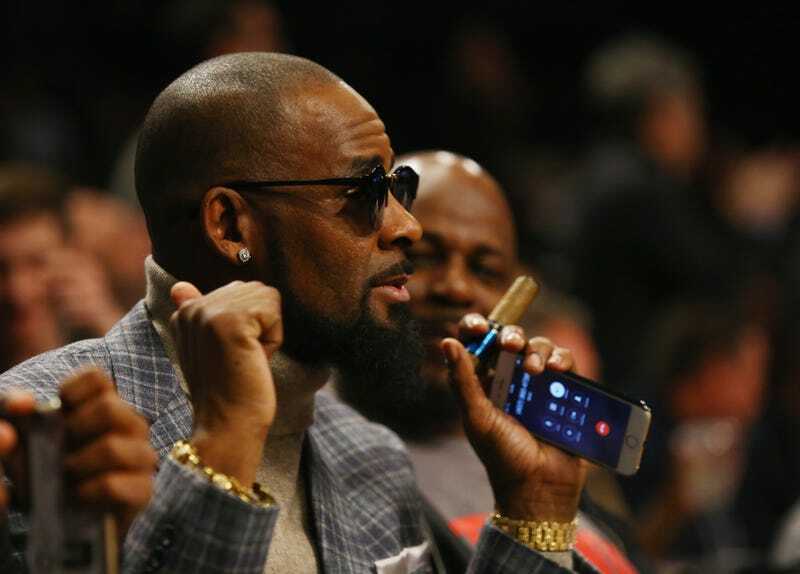 More women are stepping forward to speak out against R&B singer R. Kelly, after the six-hour documentary series Surviving R. Kelly brought renewed attention to the sexual crimes he is accused of. Kelly’s daughter Joann Lee Kelly, who goes by the name Buku Abi, wrote a long post on her Instagram story Thursday in which she acknowledges that her father is a monster and apologizes for taking so long to speak out against him. The text of her message is transcribed below via screenshots posted on TMZ (pdf). Before I start, I just want it to be known that I am speaking from the heart. Nothing I say or do not say is to hurt any party reading or affected by this. To the people that feel I should be speaking up/against everything that is going on right now, I just want you all to understand that devastated is an understatement for all that I feel currently. I do apologize if my silence to all that is happening comes off as careless. That is my last intention. I pray for all the families & women who have been affected by my father’s actions. Trust, I have been deeply affected by all of this. Unfortunately, for my own personal reasonings & for all my family has endured in regards to him, his life decisions and his last name, it has been years since my siblings and I have seen or have spoken to him. In regards to my mother [Andrea Lee], she for the same reasonings and more, has not seen or spoken to my father in years. My mother, siblings and I would never condone, support or be a part of ANYTHING negative he has done and or continues to do in his life. Going through all I have gone through in my life, I would never want anyone to feel the pain I have felt. Reminders of how terrible my father is, and how we should be speaking up against him, rude comments about my family, fabricating me, my siblings & our mothers ‘part’ etc. Does not help my family (Me, my sister, my brother, and my mother) in our healing process. Nor does it allow a safe space for other victims who are scared to speak up, speak up. The same monster you all confronting me about is my father,” Buku said in the message. “I am well aware of who and what he is. I grew up in that house. My choice to not speak on him and what he does is for my peace of mind. My emotional state. And for MY healing. I have to do & move in a manner that is best for me. I pray anyone who reads this understands I put nothing but good intent behind each word. It took me nearly 3 days to write this. I just want everyone to know that I do care and I love you all. This is a very difficult subject to speak on… again, I apologize if my words don’t come out right. To everyone who reached out to my family and I, sending good energy and love…Thank you. You guys really helped push us through this hard time. This past year for my family has been very difficult, all the love and support you all continue to show is why we keep going. You all fuel us. Family, friends, followers, fans, etc… I love you guys to pieces. Your love is appreciated & always will be reciprocated. For anyone new to my page, I just ask when you come here you bring peace & nothing else. In addition to his daughter’s statement, it was revealed Thursday that another woman has come forward claiming to be a victim of Kelly. Danielle Williams, a 36-year-old resident of Michigan, told WGN9 that she was lured in by R. Kelly when she was just 16 years old. Williams was an aspiring model when a manager for Kelly gave her the singer’s business card in 1998. She told the station that she skipped school to meet up with the singer at his now infamous studio on the Near West Side of Chicago. “When I got in the cab, I got an envelope with $1,000. I had never seen that amount of money in my life. I had no concept of getting paid for sexual acts. I didn’t think it applied to me, only for adults,” Williams said. She said he liked her for to talk like a baby, and he once held her captive in a hotel room for three days. Williams has reached out to Cook County State’s Attorney Kim Foxx to tell her story. She told WGN that she has been wanting to tell this story for a long time.